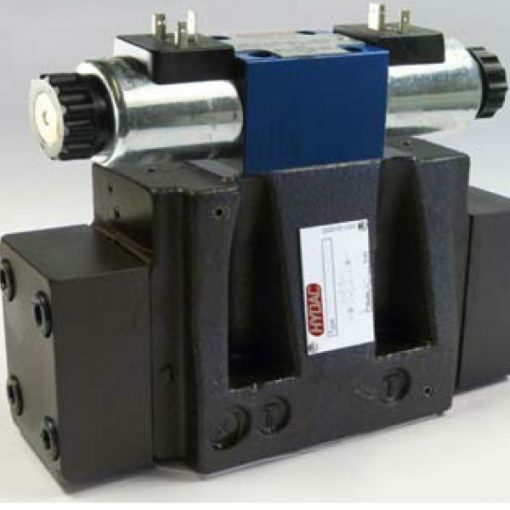 The 4WEH I 10 and 4WEH EI 10 valves are 4/3 directional control valve. It operates electro-hydraulically. HYDAC 4/2 and 4/3 directional valves for oil hydraulic systems open and close flow paths. So, when it has no energy, a spring will retain the main piston in the initial position. An under oil switching magnet pushes the pilot piston in its end position whereby the main piston – hydraulically operated – moves to his end position. Therefore, the chosen flow paths will be enabled according to the symbol of the valve. After switching off the solenoid, it will push back the pilot piston in its initial position by the spring. What’s more, a manual override allows the switching of the pilot valve without erection of the solenoid.